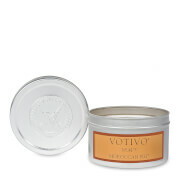 Natural soy blend wax candle in a convenient travel tin. 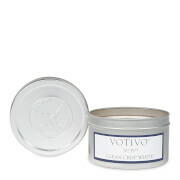 Take the Votivo mystique with you. Fragrance description: Sweet aroma of strawberries mixed with Mimosa and Vanilla Rum. Natural Soy Wax Blend, Cotton Wick, Fragrance Containing Essential Oils.